Yagull released an album a few years back called Films that sounded nothing like this one, more of a chamber-rock driven event, so I won’t dwell on it here; this is like a whole new beginning for the group. The twelve cuts presented here take the listener on a gentle instrumental journey, somewhat reminiscent of some of the warm 80s sounds presented by labels like Windham Hill, Narada and the like, often combining intensely crafted melodic beauty with an epic, folk-meets-classical charm, all the while existing outside the boundaries of any set genre. 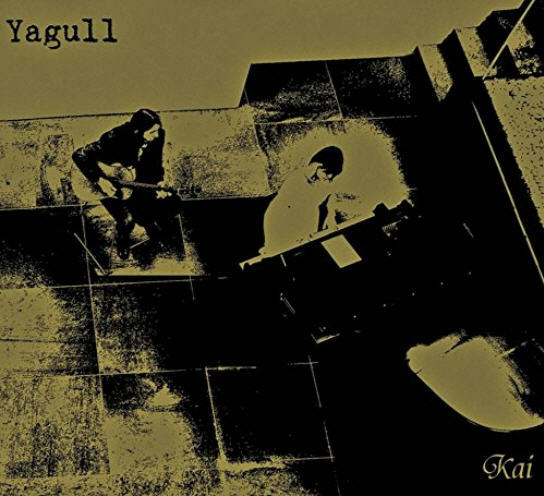 The core of Yagull is the duo of Sasha Markovic (acoustic guitar, bass, percussion) and Kana Kamitsubo (piano), who appear on every song. The guest list includes nine additional players covering violin, clarinet, flute, double bass, drums, harmonica, classical guitar, lute, electric guitar, and more, each appearing on one or more tracks, including several from the Moonjune roster of artists (such as drummer Marko Djordjevic, and guitarists Dewa Budjana and Beledo). While most of the album is based on original material crafted by Markovic and Kamitsubo, there are a few surprises herein, including tasty reworkings of “Wishing Well,” the leadoff track of Free’s Heartbreaker, and Deep Purple’s “Burn.” The two minute “Z-Parrow” takes the group closer to a Celtic folk dance than any other cut here, while the title track offers a gentle duo of classical piano bliss backed by tasty acoustic guitar craft. All taken, Kai offers the listener a rare caress of shimmering instrumental warmth.